" Themer Pro is nothing short of a full-blown, right there in your Dashboard, WordPress Theme Integrated Development Environment! 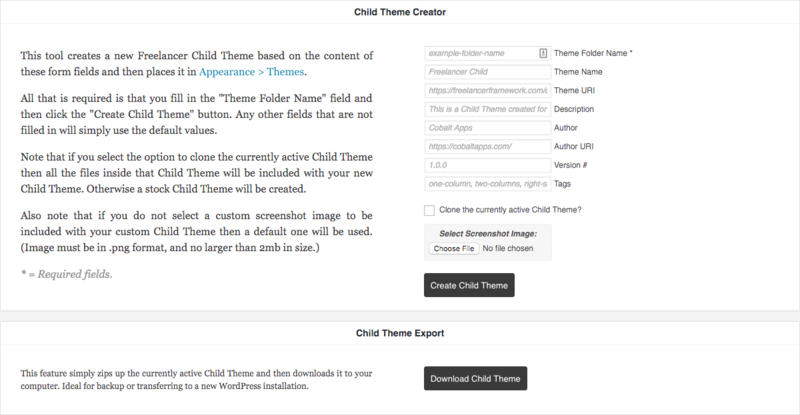 With it you can quickly create custom Child Themes for your favorite frameworks, gain full access to both the Parent and Child Theme files, and utilize the best built-in coding solution WordPress has ever seen! And that doesn't even address the fact that the front-end DEV tools are amazing! Did I mention I LOVE this Plugin? :D"
Creating a custom Child Theme is as simple as filling out a few form fields and then letting Themer Pro do the rest. Within seconds you'll have a freshly minted Child Theme right inside your /themes/ directory, ready to be activated! Saying that Themer Pro provides a complete Child Theme editing solution is a complete understatement. With the powerful Ace Editor built-in, Themer Pro's coding solutions offered inside your WordPress Dashboard are second to none! Themer Pro covers all the bases when it comes to Child Theme Development. 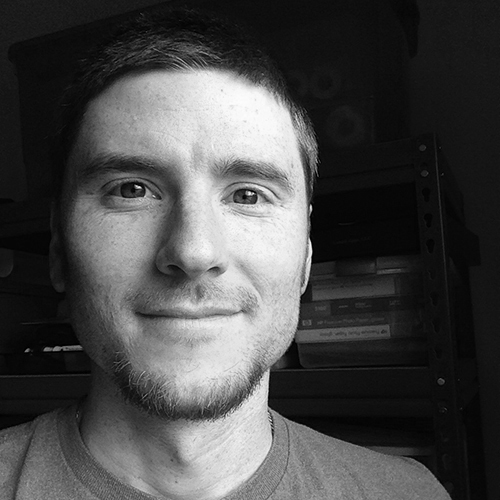 From creation, to customization, even down to providing a simple, yet highly useful image manager for the currently active Child Theme. A perfect "browser inspector sidekick", the CSS Sandbox tool provides the ideal solution for organizing and customizing all of those front-end style tweaks you're working on just before adding them to your live stylesheet. This is one of those "you didn't know you needed it, but now you can't live without it" kind of dev tools. 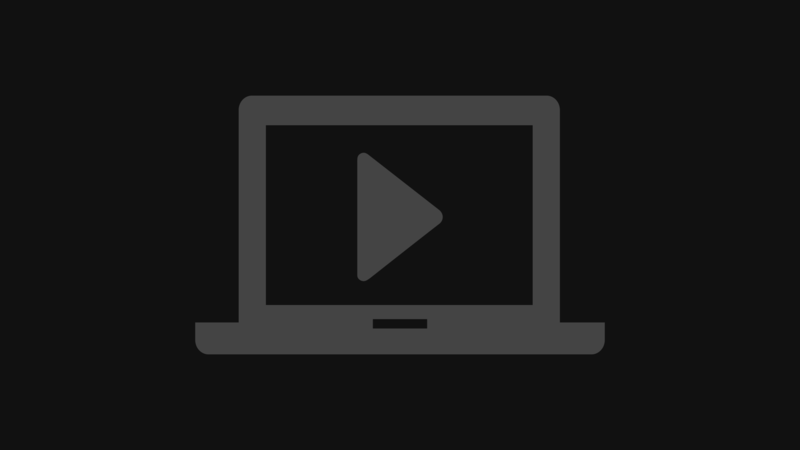 Real-time HTML manipulation on the front-end of your site provides you with a much more intuitive customization experience. Themer Pro offers an intuitive Front-End Visual Hooks Map feature that provides the developer with an easy way to desipher precisely where the various hooks are located inside the Theme Framework. From toggling on/off the various features found in the Themer Pro Plugin to selecing your favorite Ace Editor theme to help you feel that much more at home in your WordPress Dashboard IDE, Themer Pro provides simple control to get the job done. Fully Compatible With Your Favorite Theme Frameworks! 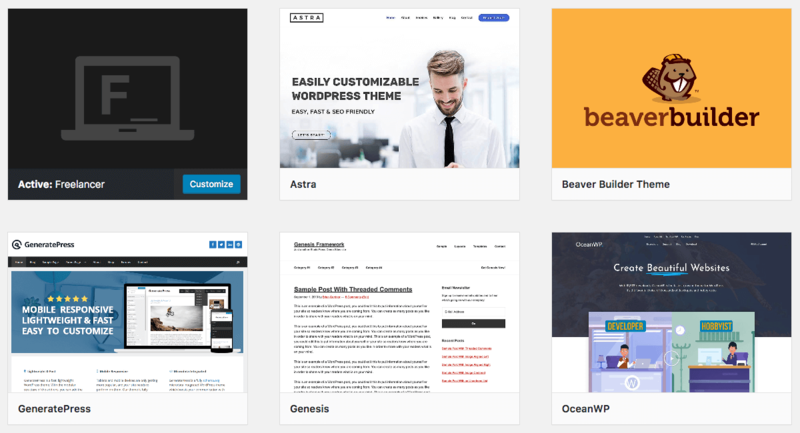 Themer Pro is fully compatible with the following popular WordPress themes listed HERE. We add new framework support as members request them or just when we find a new favorite to add to the mix. So whether your client work requires the use of one specific theme or several popular picks, Themer Pro has got you covered! I'm Ready To Get Themer Pro! See Themer Pro In Action!